We connect vetted local non-profits serving those affected by homelessness with homebuilding experts who generously donate their time, resources, and expertise to create dignified, safe, and stable spaces that foster healing and growth. We also host other events and activities that supplement the work of our non-profit partners. 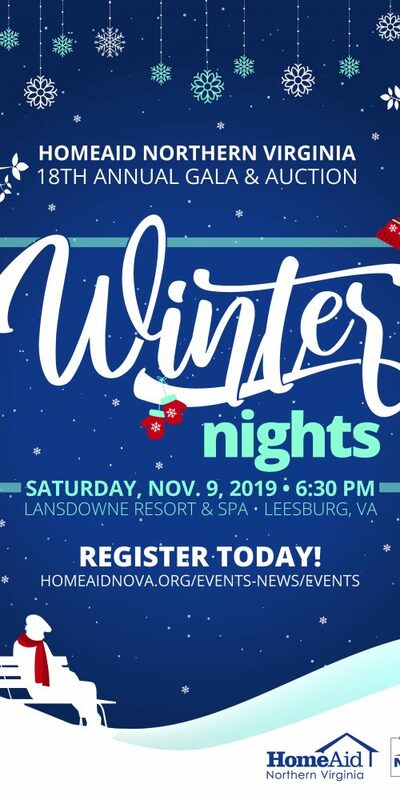 Find out how HomeAid Northern Virginia is bringing world-class speakers and experts on racial inequity and homelessness to YOU at the 2019 Housing Forum! Your generous donation helps break the cycle of homelessness by providing housing for those who need it most. HomeAid helps people get back on their feet by providing them with newly renovated homes they can be proud of. Research shows that stable housing improves health, increases children’s educational achievement, and strengthens community ties. Be a part of the solution by supporting HomeAid Northern Virginia today! Read about our project highlights; the many ways we serve our Shelter Partners; and the many Builder Captains, Trade Partners, and others who make our work possible in our 2018 Annual Impact Report! We believe that home is everything and that the best way to solve homelessness is to ensure that everyone has a safe and stable place to live. Learn how you can support HomeAid in building new lives for Northern Virginia’s homeless. From renovations to new builds, from emergency shelters to much-needed escapes from the daily stresses of homelessness, we work to support our non-profit partners and those struggling with homelessness in a variety of ways. Catch up on our latest projects, partners, and programs—and learn what’s to come! Learn more about HomeAid events and fundraisers.